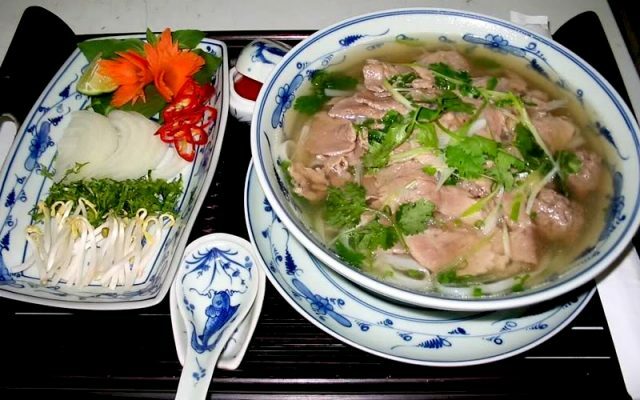 Pho is a Vietnamese traditional dish which is famous around the world. With the savory taste, it becomes an indispensable dish in your Best Vietnam tours. In particular, being in Hanoi tours, you will have a chance to enjoy Pho with a various taste from different processing and variation. Let’s consult the 6 reputable places to eat Pho in Hanoi to plan for your upcoming holiday in Vietnam. Pho Bat Dan is one of the best places to eat Pho in Hanoi in your Best Vietnam tours. It is the oldest store with more than 70 years of experience. Throughout the time, the recipes have been passed from generation to generation so it still keeps the original taste of Pho Hanoi up to now. Pho Bat Dan attracts a lot of people thanks to its sweet and fragrant soup, thin and soft beef and tough noodles. Usually, to enjoy a bowl of Pho Bat Dan, you will have to queue up to have your turn. Pho Ly Quoc Su has had a good reputation for a long time. Today, this brand has expanded and become available in a lot of places in Hanoi. 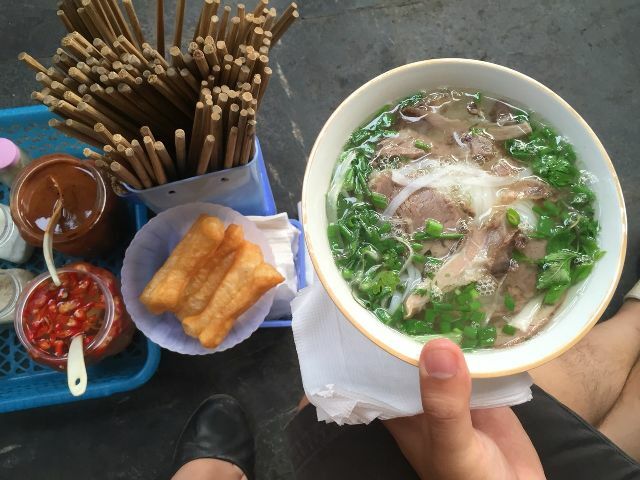 However, if you want to eat the most delicious and authentic Pho in your Hanoi tours, the original address at 10 Ly Quoc Su Street will be still the most worthwhile place to enjoy. Pho Thin is famous for processing beef dipped in boiling water with fried onion, garlic and ginger before mixing with noodles. 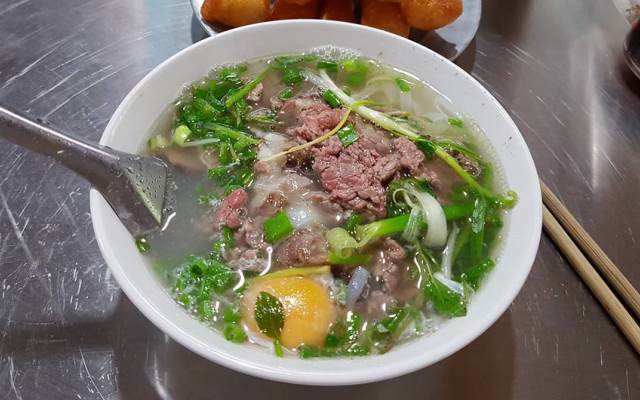 The soup of Pho Thin has an attractive fatty taste, the beef is tender and still aromatic with garlic. Therefore, Pho Thin makes a lot of customers pleased, even the fastidious customers in Best Vietnam tours. This famous store has such a strange name. It is derived from the fact that you will not be served by waiters but you have to serve yourself and eat immediately on the sidewalk. Despite the inconvenience, this store attracts a lot of people to visit during the day because Pho here is really delicious with sweet soup and tender sliced ​​meat. Pho Suong is also a famous Pho brand in Hanoi. It has a sweet taste with the aromatic fragrance from beef bone stock. 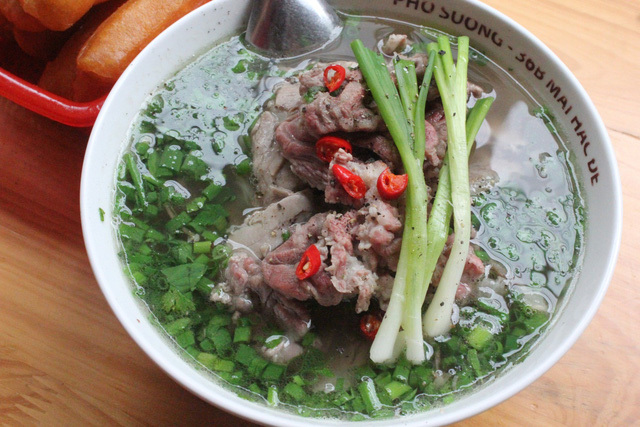 The most prominent feature of Pho Suong is that it is considered having the most delicious beef in Hanoi. Each slice of beef is very soft, ripe, lean and not dry. 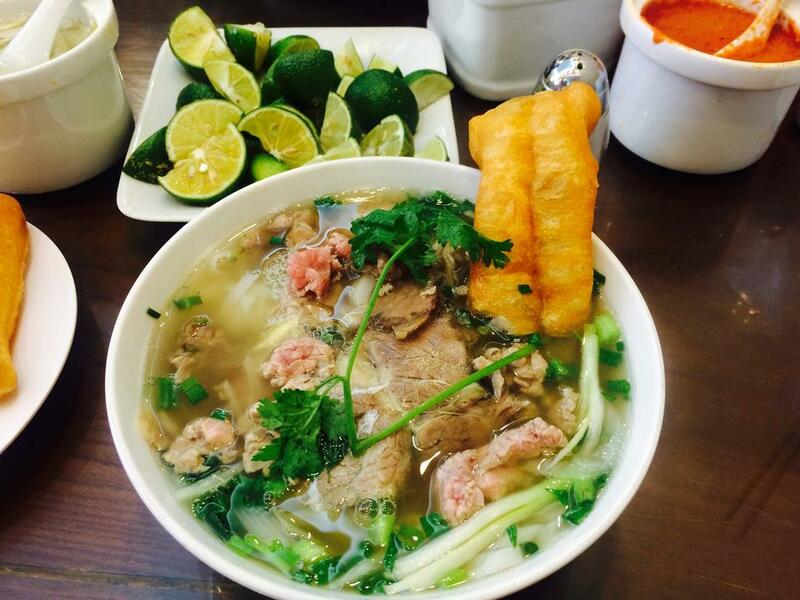 If you are not excited about the traditional flavor, rolled Pho is worth a try. Although rolled Pho appears later than others, it quickly becomes the favorite dish of a lot of people. As for the characteristics, the rice noodle is soft but tough, it is usually rolled with vegetables and stir-fried beef. Especially, it will become much more delicious when served with sweet and sour sauce. 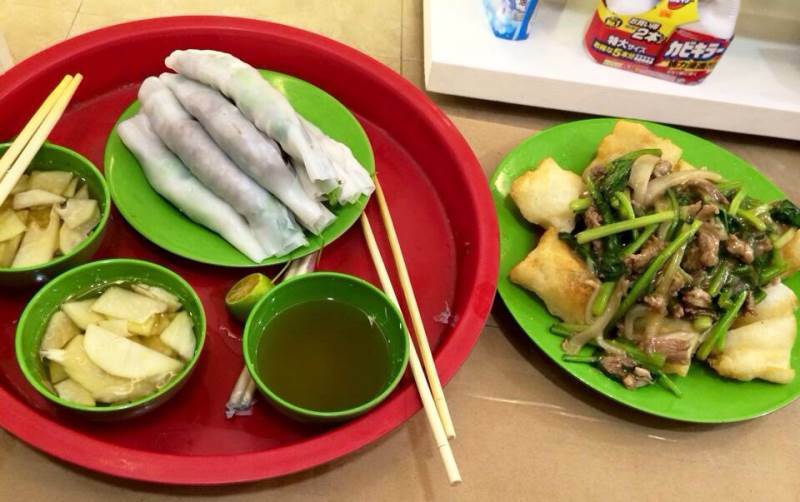 Also, you can try enjoying fried Pho and fried egg Pho at this place in your Hanoi tours.